Tata sky has come with amazing offers, now get all cooking channel at just one rupee. This one is great deal for food lover. Now you will able to see all cooking channel at just one rupee. This Tata Sky Jingalala saturday offers only applicable for one months. Tata Sky Jingalala Saturdays Actve Cooking Offer (‘Offer’) is a promotional scheme which is being offered by Tata Sky Limited (‘Tata Sky’) to its Eligible Subscribers. Eligible Subscribers shall mean a Tata Sky Subscriber who has an Active Account Status and does not fall within the category mentioned in B (1) of the General Terms. Under this Offer,on 19th March 2016,Tata Sky will offer the Actve Cooking Pack (‘Pack’) to its Eligible Subscribers at a discounted rate of Re.1/- for the initial period of 30 days followed by Rs.59/- per month till the time Eligible Subscribers continue to subscribe to the Pack as against the regular price of Rs.5/- per day charged by Tata Sky. 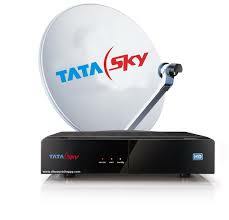 Further,it is clarified that if the Eligible Subscribers wishes to discontinue the Pack subscribed by way of this Offer,and then again subscribes to the Pack at a later date,if made available by Tata Sky,then the Eligible Subscribers shall be charged the regular price of Rs.5/- per day or such other price as may be charged by Tata Sky at that period of time. Missed call:By giving a missed call on 0 78150 78150 from the Registered Mobile Number (‘RMN’) of the Eligible Subscriber. Tata Sky website:By logging on to My Tata Sky on www.mytatasky.com. Helpline:By calling the Tata Sky helpline number 18602086633.